tags which weren’t needed in the new file. I didn’t want to manually remove each link and after a quick look around PHPStorm’s menus, discovered that PHPStorm has a really useful command to remove the wrapping element for you. 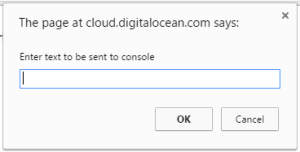 Select the element, then from the menu, choose Code > Unwrap/Remove… or use the keyboard shortcut, Command + Shift + Backspace and then choose the appropriate wrapping element to remove. I’m working on an app that will parse different file sources and aggregate it for a report. Of course, each format has a different date format and trying to parse it all has proved to be a pain. I wrote a regex that’ll parse out just about every datetime format I’ve run into that I am sharing in case someone else finds it useful. I’ve put it on a Github gist along with a sample of the various dates I’ve tested it against and confirmed to work. If you find a format not covered by the regex, post a comment and I’ll update the gist. Just a note that I haven’t finished parsing the timestamp (e.g. 1997-07-16T19:20:30+01:00) format. The date portion does get extracted correctly so I left it in. 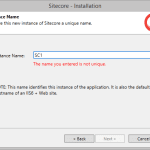 After launching the installer again, it kept returning the error “The name you entered is not unique.” when naming the Sitecore instance to one previously used. 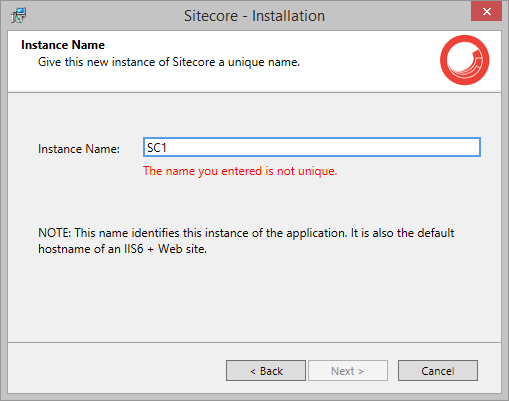 After checking the IIS metabase and a few other typical locations, couldn’t figure out where the Sitecore installer was finding the name since we deleted everything manually. It turns out that the Sitecore executable installer creates a registry entry under HKEY_LOCAL_MACHINE\SOFTWARE\Wow6432Node\Sitecore CMS which is used to display information in Windows Programs and Features. This registry key is also checked during the installation process and if a child key with the same name as the one being installed is found, the above error message is shown. Delete the registry keys containing the information about the previously installed instance. NOTE: You’ll need to relaunch the installer as it apparently caches the key information. I had just installed SyncFusion’s Essential Studio which apparently screwed something up. 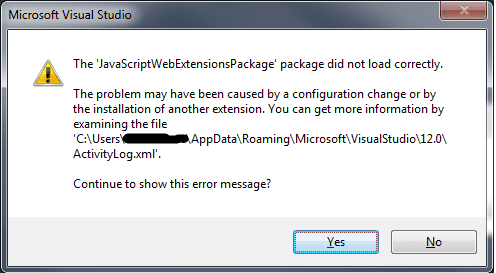 I tried doing a repair on Visual Studio which unfortunately did not work. Visual Studio should now rebuild the cache and no longer display the error messages.